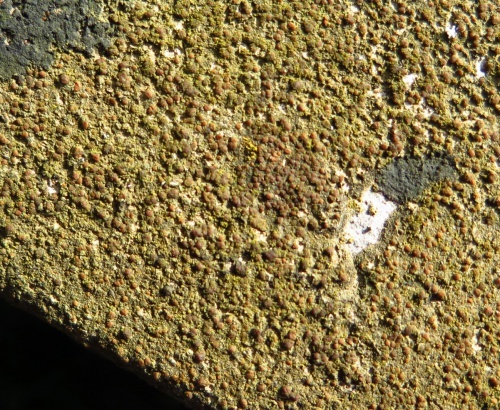 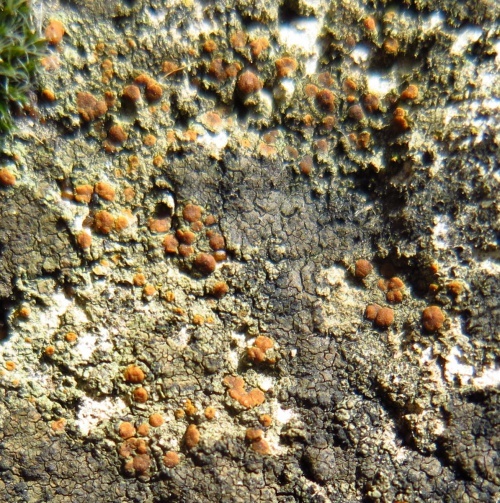 Thallus thin, greenish, pale to orange-grey, or grey-brown, areolate; apothecia pale to deep orange, often strongly convex, not set in pits. 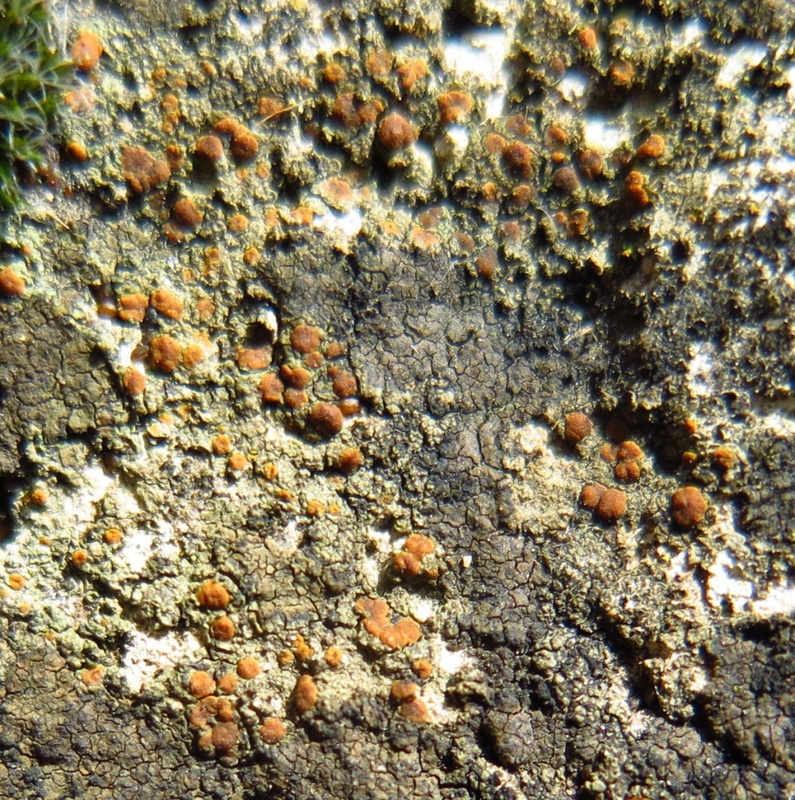 On chalk and limestone rocks, concrete, mortar of old walls and similar calcareous substrates. Widespread and often common in Britain.